To celebrate Mummy To The Max's Birthday, we have a fantastic "Sterilising Travel Kit" from sterilising experts Milton to give away. Milton has been a leading name in sterilising baby feeding equipment in the home for over 65 years, during which the ‘Milton Method’ of cold water sterilisation has been used by millions of parents, and in homes and hospitals throughout the UK and beyond. This pack has everything you need to keep your little one clean and tidy, not to mention germ-free, wherever you're headed including: a Milton Solo Travel Steriliser, a Milton Mini Portable Soother, Steriliser, Antibacterial hand gel, · Antibacterial surface wipes, Standard Sterilising Tablets and Mini Sterilising Tablets. The Milton Solo Travel Steriliser is 2-in-1 microwave or cold water steriliser, ideal for sterilising when travelling or away from home. It cleans and sterilises breastfeeding equipment, bottles, teethers, plastic toys and other small baby equipment from 2 minutes in the microwave and in 15 minutes for cold water. A portable, lightweight, practical way to sterilise - whether at home, a day trip out, overnight stay or away holiday! 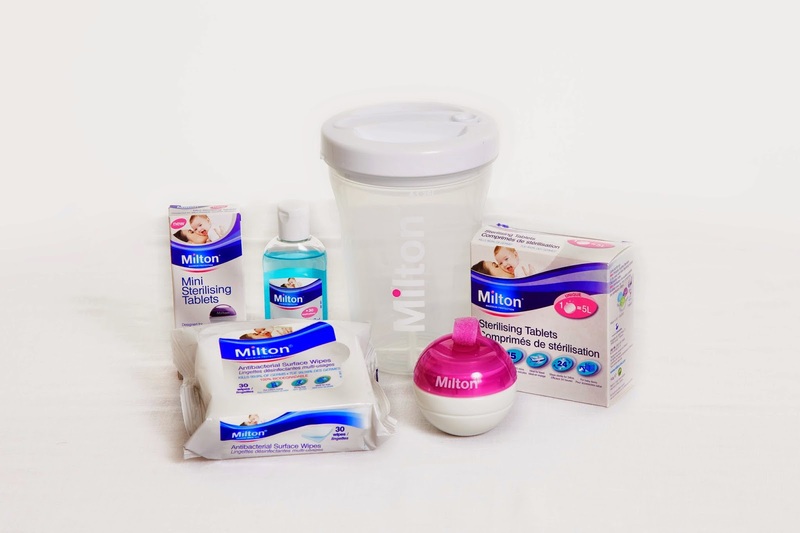 The award-winning Milton Mini Portable Soother Steriliser is a totally unique and original method to safely sterilise soothers in and out of the home. It cleans and sterilises soothers in less than 15 minutes and provides a safe and sterile place to store a spare soother. The MiltonMini uses the quick, easy, safe and effective Milton Method of cold water sterilising to kill 99.9% of germs (bacteria, fungi and viruses) in just 15 minutes. The solution lasts up to 24 hours, therefore it can be prepared at home before leaving and is ideal for a day out, overnight stay or a car journey for example. Simply fill the Mini with water, add 1 Milton Mini Sterilising tablet and assemble. Once placed inside, a soother is sterile in just 15 minutes and ready to use. Its lightweight design means it can also easily be carried in your changing bag, handbag or coat pocket without weighing you down – and it is 100% watertight, meaning no risk of spills inside your bag. The handy Velcro strap means it can easily be attached to your pushchair when out and about. Milton’s Antibacterial Surface Wipes are ideal for travel and quick clean-s ups at home or on the move with baby. They kill 99.9% of germs including bacterial and fungi and can be used on highchairs, toys, changing mat, potty, baby’s bath, public facilities, restaurants and toilets. Fragrance free and no need to rinse. Milton’s Antibacterial handgel is ideal for when you are looking after your baby (before and after feeding, nappy change) especially when you are on the go. It is ideal for use during infection epidemics, to reduce the risk of spreading infection and kills 99.9% of germs in seconds. Non-sticky, it leaves hands feeling fresh and clean, with an added moisturising agent to protect the skin. To win this fantastic prize then please complete the rafflecopter below. Milton’s Antibacterial handgel ! My friend has just had a baby so I would give it to her! i would share with my brother, going to be an aunty in november - yay! I wouldlove to win this for myself, now that I am childminding my new nephew. I think the Milton Mini Portable Soother Steriliser would be great for taking h out and about this Summer! The antibacterial hand gel and I would keep it for myself! 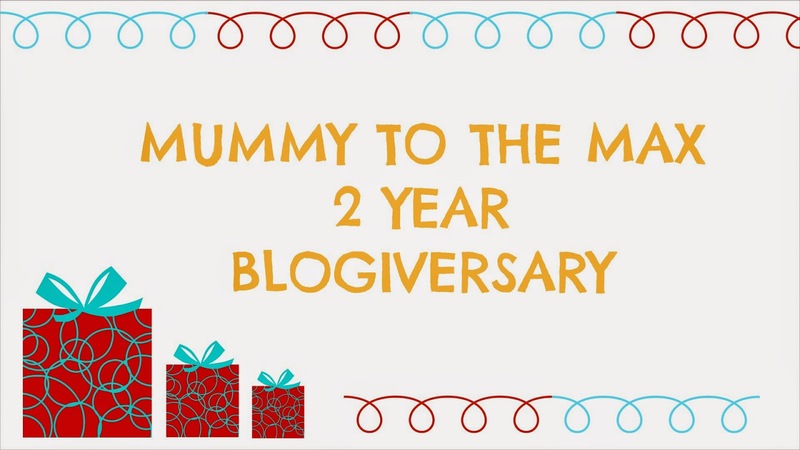 I would share with my sister, she is a new mum and it would be a great 'gift' to my sis+baby niece. Thanks. I would give the antibacterial surface wipes to my daughter-in-law as she has two toddlers. I would love to win the travel steriliser for my sister because it would be so handy for her as she is always going on holiday. Milton’s Antibacterial hand gel, would keep it myself! The travel sterilizer looks really useful, and I would give it to a friend who is expecting her first in December. I would love to try the hand gel and would keep the stuff for myself. The soother steriliser would be useful for my neighbour who is due in about 3 weeks. I would love to try the steriliser wipes, I always give high chairs a quick wipe when we out and about. The handgel would be my favorite, but I would give it all to my sister as shes expecting again. Milton antibacterail hand gel - I'm a bit of a clean nut! Would share with a friend. Milton Mini Portable Soother Steriliser for my sister. I am going to be a great great Aunt in August, so any of it all would make a great great present for my brand new great great nephew due in early August, thank you! The soother steriliser, would give it to my niece. I have 3 pregnant friends so would all come in handy! The steriliser which I would keep to use for myself as I'm expecting my 3rd child in September. I'd give the prize bundle to one of the pregnant women that visits my workplace. The Milton Solo Steriliser( 2 in 1), as so practical and versatile being 2 in 1. Great or travel etc. I would give this to friend as a useful gift. This is perfect for my Grand Daughter. Love the Hand gel. The travel steriliser is fab for weekends away. I'd keep the wipes and gel and give the rest to any one of 3 babies that are due in our family any minute now!! I would be very happy to win anything as I will donate it to charity, to go to Romania. I think the portable soother steriliser would be most useful! Currently the missus is expecting so this will be definitely kept! Portable soother steriliser and I'd give it to a friend. I would love to win the travel steriliser for my twin baby daughters hols! The soother steriliser - & I would keep it! The surface wipes! I childmind my friend's 2 boys so would defo keep for myself! The portable bottle steriliser for my friend as she will have a 5 month old baby when she is my bridesmaid in Malta NExt May!